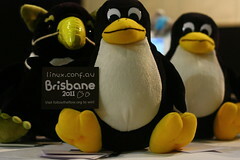 LCA2010 Open Programming Languages Miniconf: CFP Closes on Friday! Our CFP was extended by a month, and now you only have this week to get your presentation proposals in for the LCA2010 Open Programming Languages Miniconf! 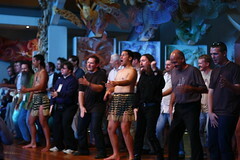 Our call for presentations closes on Friday 23 October 2009, so if you’re planning on attending LCA2010 in Wellington in January, and have something to say about doing development with Open Source programming languages, libraries or frameworks, we’d love to hear from you! We’re looking primarly for standard-length talks (20-25 minutes including questions), but we’ll also consider double-length talks on suitably compelling topics (that’s 40-45 minutes including questions). The Linux.conf.au Open Programming Languages Miniconf is a single-day mini-conference about application development with Open Source programming languages. Featuring talks on a wide range of topics and programming languages, this miniconf aims to bring together open source developers with presentations that share techniques, best practices and values amongst programmers of all open programming languages. OPLM2010 will be held at Linux.conf.au 2010, in Wellington, New Zealand on January 18. Registrations for Linux.conf.au 2010, being held in Wellington, New Zealand this January opened earlier this week — I’m registered (a bit of a no-brainer, given that I’m running a miniconf this year). Have you registered yet? Not sure if I mentioned it here, but thanks to the kind generosity of the LCA2010 team, the Open Programming Languages Miniconf has been able to extend its call for presentations by a month. This means that you can now submit your presentations up until October 23 (which is a Friday) — I look forward to seeing another deluge of presentations in a couple of weeks-ish! The LCA2010 Open Programming Languages Miniconf, to be held at Linux.conf.au 2010 in January 2010 (either on Monday 18th or Tuesday 19th January), invites presentations about all programming languages with an Open Source implementation, such as Perl, Python, C, PHP and Ruby, amongst others. Topics may include recent developments in open programming languages, interface design, portability and packaging, coding applications with cool new libraries and frameworks, and showing off the use of novel programming techniques; presentations may be proposed in a standard (25-minute) or long (45-minute) talk format. Whilst most talks will be specific to a single language, the focus of this miniconf will be on sharing techniques, best practices and values amongst programmers of all open programming languages. We will be accepting proposals effective immediately, and our CFP will close on Friday, September 25. Absolutely no extensions will be granted due to the tight timeline for LCA2010 programme publication. To read the guidelines for presentations, and the submission process for proposals, please visit the CFP page on our website. The timeline for the CFP is extremely tight by requirement of the LCA2010 organisers, so no extensions will be granted. The Linux.conf.au Open Programming Languages Miniconf is a single-day mini-conference about application development with Open Source programming languages. Featuring talks on a wide range of topics and programming languages, this miniconf aims to bring together open source developers with presentations that share techniques, best practices and values amongst programmers of all open programming languages. OPLM2010 will be held at Linux.conf.au 2010, in Wellington, New Zealand from January 18-23. 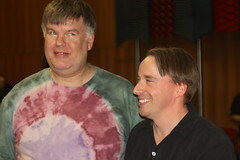 OPLM2010 is being organised by Christopher Neugebauer and Jacinta Richardson with help from the broader community. You can contact the OPLM2010 organising team at oplm2010@googlegroups.com or visit the website at http://blogs.tucs.org.au/oplm. The Linux.conf.au Open Programming Languages Miniconf is a single-day mini-conference about application development with Open Source programming languages. Featuring talks on a wide range of topics and programming languages, this miniconf aims to bring together open source developers with presentations that share techniques, best practices and values amongst programmers of all open programming languages. Our CFP isn’t quite ready yet, but our website is, and you can go there to read more of our proposal, and subscribe to our announcements RSS. So if you have something to say about developing with Python, Perl, PHP, C, or any other open source programming language, start planning your talks and presentations; I look forward to seeing the quality from the main conference submissions first-hand! Oh, and see you in Wellington! Time for another status report on things that have happened recently! First up, I’ve started on my Honours year! Isn’t that exciting? As I’ve learnt this week, the next 12 months for me will consist of 4 coursework units, and a research thesis. This semester, it looks like I’ll be studying Embedded Systems (yay! I get to program some microprocessors! Whoo! ), Computing in Context (a research-intensive unit in HCI), and possibly one other, depensive on what the unit outline for it looks like. My thesis I’m not so sure about, given that the process by which we get assigned supervisors hasn’t occurred yet. Currently, I have a pile of 12 project areas for my perusal, from which I must rank 6 proposals by order of how much I want to study them. At the moment, there are some interesting-looking proposals relating to Machine Learning, and some interesting ones relating to web monitoring; I find out what I’ve been assigned by Friday (very exciting, no?). Linux.conf.au 2010 is being held in Wellington, New Zealand. One of the things that makes LCA a truly wonderful conference is the first two days, devoted to single-day “miniconfs” on topic areas of interest to the Free and Open Source Software communities. I’m currently involved with two proposals; I’m primary proposer of a developers’ miniconf (called “Open Languages”) aimed towards uniting the developer communities of open source programming languages, and I’m secondary proposer of an education-flavoured miniconf. I’d be equally happy if either of these proposals get up, but with 30 other awesome proposals competing for 12 openings for miniconfs, there’s going to be some very stiff competition. Hey, turns out I turned 21 on Wednesday. How did I manage that?